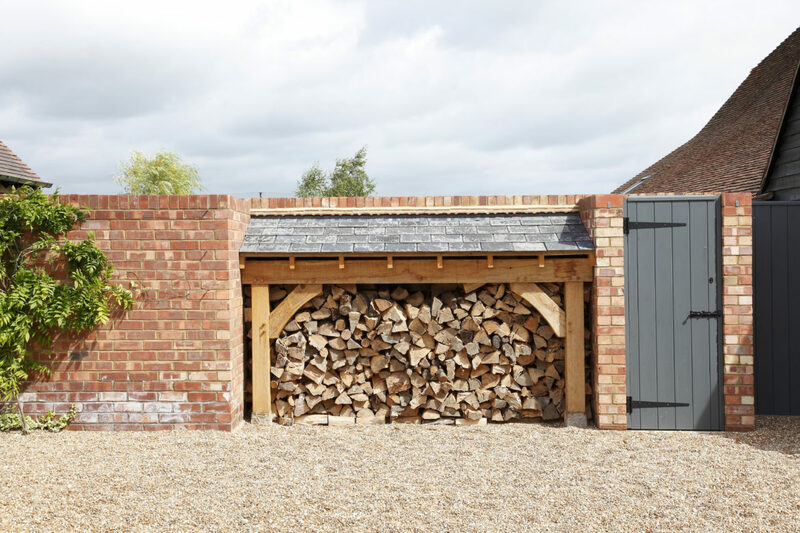 The client, a farmer, approached us to design and build a garage extension to his property. The brief included creating a designated parking area and feature brick wall to separate it from the main living area. 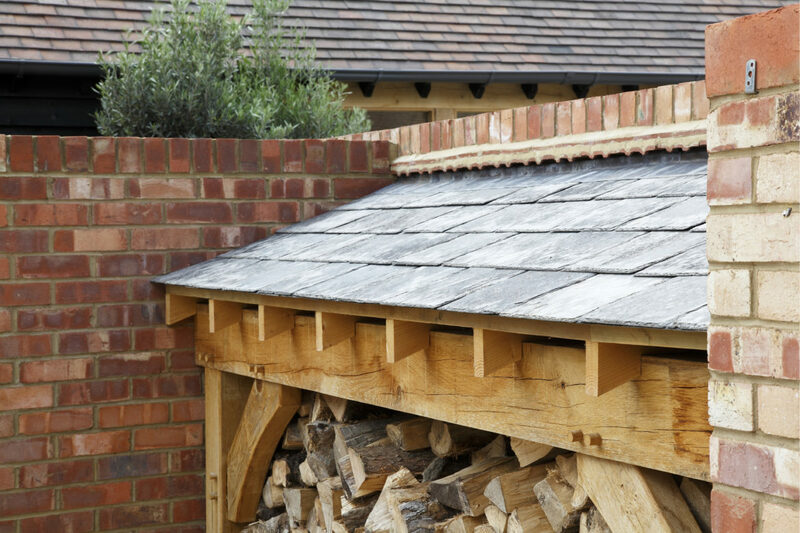 In the discussions that followed, it was suggested to adapt the dividing wall design to include a slate-roofed log store. This would be a practical addition and further enhance the wall. 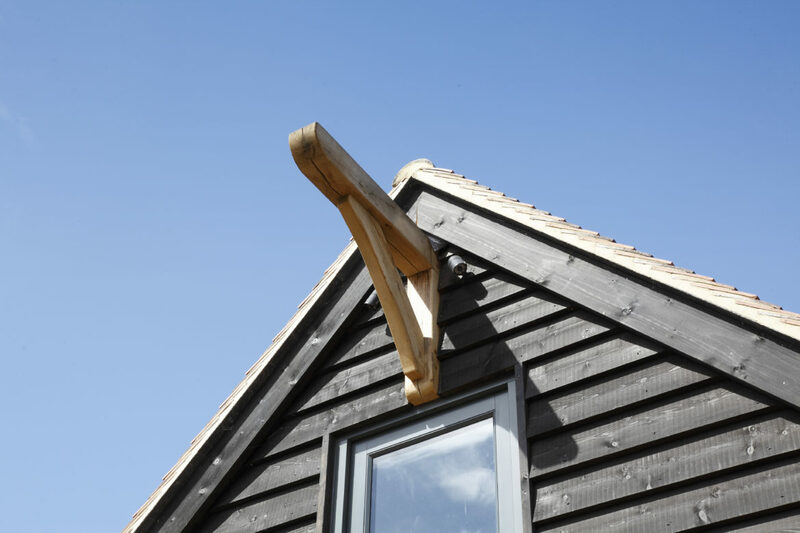 Simple accommodation was designed above the garage for use as an office/store. 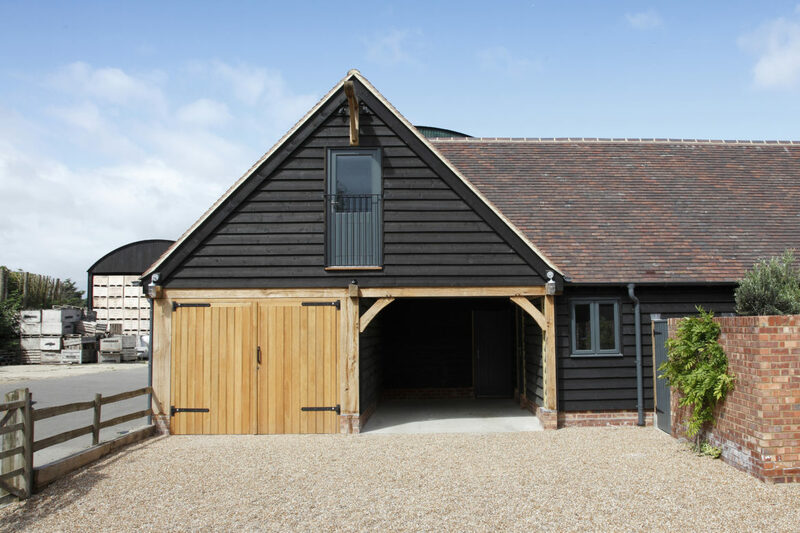 The original open-fronted garage design was adapted to include a set of Oak doors to allow added security to one side of the garage. 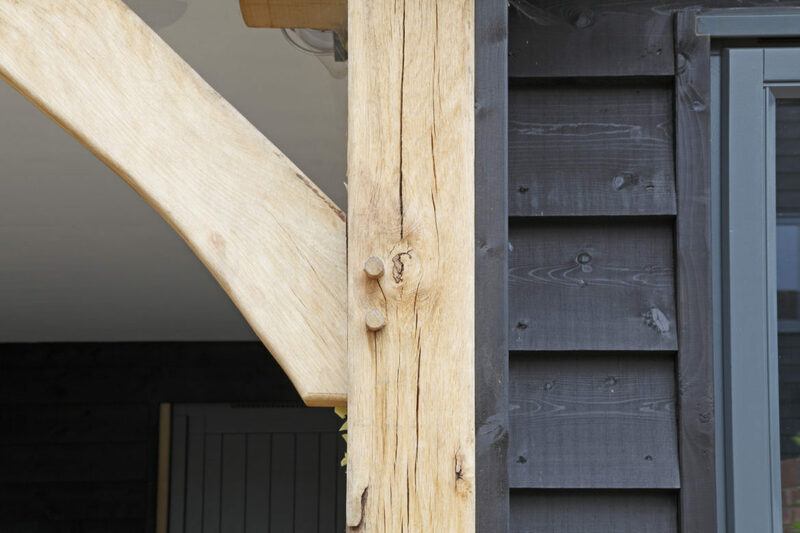 Pressure-treated timber weatherboarding was stained to create a natural finish that complimented its surroundings.